Rent Embassy Suites Downtown Portland | Corporate Events | Wedding Locations, Event Spaces and Party Venues. 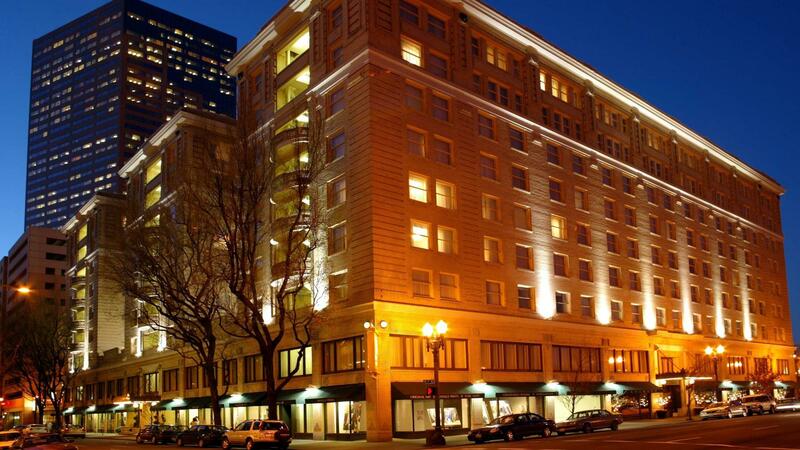 Our downtown boutique-style hotel is located in historic downtown Portland and places you in the heart of the city, next to shops, restaurants, entertainment and more. Start your day off with a workout in our fitness center, fully equipped with modern equipment, or a swim in our indoor swimming pool, and then enjoy a night out on the town, right outside our doors. Our hotel is also the only Embassy Suites by Hilton that is a member of Historic Hotels of America. Remain productive during your stay at the Embassy Suites Portland - Downtown hotel with the 24-hour BusinessLink™ Business Center and WiFi access. Your two-room suite gives you the space to work or relax, while the microwave and refrigerator offer the comforts of home. Start your day in style with a complimentary cooked-to-order breakfast, then unwind with a drink at the complimentary Evening Reception*. The hotel’s Portland Prime restaurant is a popular downtown Portland dining venue, serving fresh cuisine from local sources, and offering evening jazz entertainment Wednesday through Saturday. Whether planning a business meeting or an elegant social event, the Embassy Suites Portland Downtown offers a variety of unique spaces. Conference attendees can be comfortably accommodated in this unique and historic building. Select form many available spaces, including a five-room conference center, two ballrooms with individual pre-function areas, and a spacious mezzanine overlooking the grand lobby. Twenty unique conference suites are ideal for breakout meetings or hospitality suites.